Malaysia has started pumping oil from the Gumusut deepwater oilfield offshore Sabah, with an initial output of 10,000 barrels per day (bpd), sources familiar with the matter said. Gumusut, operated by Royal Dutch Shell and discovered in March 2004, is expected help Malaysia reverse its declining output and boost the country’s oil revenue, but its start up has been dogged by construction delays. 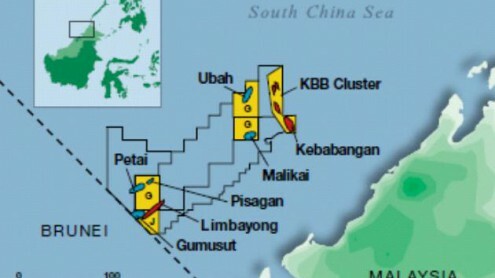 Crude output at Gumusut, located off the eastern state of Sabah in Block J, was expected to reach 25,000 bpd by the end of this year, said the sources, who declined to be identified due to company policy on speaking to the media. Gumusut would be blended with Kikeh for sale in Asia as its output was currently tied to Kikeh’s production platform in neighbouring Block K, they said. This could change Kikeh’s crude quality, one source said. Murphy Oil operates the 120,000 bpd Kikeh field. Gumusut production will reach the full 135,000 bpd in 2013-2014, put back from 2011, as construction of the floating production facility for the field has taken longer than expected. Crude exports directly from the Gumusut field would also depend on when the new terminal at Kimanis, Sabah, was completed, the sources said. Shell and ConocoPhillips each has a 33% stake in the project. Petroliam Nasional Bhd (Petronas) holds 20% and Murphy Oil 14%. Shell and Petronas did not reply to e-mails seeking comment. Malaysia’s crude output slipped in 2011 to below 600,000 bpd for the first time in at least 10 years, data from the BP Statistical Review of World Energy showed.